Ever since 2009, Smarkets has been on the online betting scene, yet it only became popular as of 2014. Smarkets is a betting exchange. Contrary to traditional bookmakers where the odds are fixed by the agency, at a betting exchange, the odds are determined by fellow users whom you bet against. As such, Smarkets would be more appropriate for punters with some experience. The online betting provider is better known in Great Britain, although interest is on the rise in Central Europe. The company operates with licenses from the UK and Malta. Due to the increased interest in the online betting exchange, our Smarkets review has taken a closer look at this particular provider. Among others, we will analyse the sports selection, the odds, the betting markets, the customer service, as well as the Smarkets welcome bonus for newcomers. Make first deposit of 20 GBP and get a 10 GBP free bet. Register at Smarkets an start placing live bets right now! The online betting provider is operated by a Maltese company and is licensed both there and in the United Kingdom, by the UK Gambling Commission. The betting exchange Smarkets was established by Jason Trost and Hunter Morris in 2008 and launched for the general public in 2010. Currently, the betting platform is backed by important European investors. The company has offices in London, Los Angeles and Malta. As a trading platform, users bet against each other and not against the bookmaker. Smarkets actually acts only as an intermediary. Over the years, the betting exchange has added different sports to their portfolio as well as currencies. According to our Smarkets review, the online betting provider was considered to be one of the top European start-ups. In 2016, the company reported 3 billion pounds worth of trades. At the time of our Smarkets review, the current welcome offer for new customers was a 10 GBP free bet. This seems to be the standard bonus offer for joining the betting exchange. So when you sign up at Smarkets and make a minimum deposit of 20 GBP, you receive a 10 GBP risk-free bet from Smarkets. As such, it is a 50% deposit bonus. The risk-free bet is credited within 24 hours of depositing and it must be claimed within three (3) months. Only deposits made by credit/debit card or bank transfer are eligible for this Smarkets welcome offer. Skrill and Neteller are excluded from this offer. Once the bonus is credited to your betting account, any losses incurred up to 10 GBP will be refunded. To withdraw the funds, you must place the qualifying deposit amount in full as a single bet on any markets. That is right: You only need to wager the amount once, there are no minimum odds, and accumulator bets are also accepted. If you do not use the bonus within a period of three months after it has been credited to your account, it will be removed. There is no promotional code for this Smarkets offer. The welcome bonus in the form of a risk-free bet is not bound by many conditions. If you follow the tutorial written by our Smarkets review, you will be certain of obtaining your 10 GBP bonus. Step 2 – Making a deposit: Select your preferred payment method. Please note that only deposits made via debit/credit card or bank transfers count towards the bonus offer. Make a minimum deposit of £20. Step 3 – Fulfil the bonus conditions: Place your £20 as one single bet on any markets once. Step 4 – Use the free bet: If your bet wins, you will receive your winnings. If the bet loses, Smarkets will credit £10 to your betting account. You have 3 months to fulfil the wagering requirements after making your first deposit. Unfortunately, our Smarkets review noticed that there are no additional offers for existing customers. Since this is a betting exchange, the possibilities of offering varied bonuses are quite limited. After all, the users themselves set the odds and the platform only acts as an intermediary in reality. Since users only pay a 2% commission and the odds are usually much higher than at traditional fixed odds, there is no real need for extra bonus offers to attract and keep customers. Smarkets is not a regular bookmaker with fixed odds. Therefore, it is normal that the sports betting selection is somewhat different here and not as extensive. However, you will still find about a dozen different sports and betting opportunities. Typically British, the focus seems to be on football, horse races and tennis, even though baseball and basketball are part of the portfolio. In addition, you can also bet on cricket, golf, handball, rugby and volleyball. Some novelty bets are available as well on political events and TV shows. Our Smarkets review was also pleased to see that the betting markets are not just wide but deep. You might not find the same diversity as at traditional bookmakers, but there are sports events taking place in America, Asia and Europe. The top European leagues (Germany, England, France, and Spain) are present, yet less known ones such as Iceland and Hungary are present as well. The offer at Smarkets might be more compact, only five to ten markets per match, but it is more than sufficient and clearly presented. The live betting area clearly concentrates on horse racing. Almost all horse races around the world have their place here, followed by football as a close second. The betting selection is limited in the live centre. Regarding the betting odds, the jewel of any betting exchange, Smarkets offers an average that is normally about 15% higher than what similar bookmakers do. One cannot speak of an odds key since the odds are set by the customers themselves and can vary tremendously. Another advantage of this online betting provider is that only a 2% commission is charged. The overall conclusion of our Smarkets review is that the betting exchange definitely has its advantages. Betting odds are on average 15% better than at regular bookmakers, so this is a positive aspect. Of course, this is more appropriate for seasoned bettors and not so much for newcomers to the betting scene. The selection of sports is somewhat limited when compared to other betting exchanges, yet there are sufficient markets in breadth and in depth. There is certainly room for improvement at Smarkets, such as languages in general. The website, the mobile app and the service are only in English. This might keep international bettors from joining the betting exchange. The Smarkets welcome bonus is simple to obtain, yet no other offers are provided for existing customers. In the end, the betting exchange is still worth a try, especially since the commission fee is only 2%. Our Smarkets review found that the payment options are presented in a clear and simple manner. Besides the traditional bank transfer, you can deposit your funds by using credit/debit cards (e.g. MasterCard, VISA). A number of e-wallets (Skrill, Neteller) are also provided, yet not PayPal. Almost all deposit options are free of charge, except for credit cards, where Smarkets charges 2.5%. Your funds are transferred instantly in most cases. Of course, bank transfers may take up to 5 business days. In general, the minimum deposit amount is 10 GBP (20 GBP for Neteller). Step 1 – Go to the banking section of your account: Go to “My Account” and click on “Deposit”. Step 2 – Select the desired payment method: Choose your preferred deposit option. Select the currency and the amount. Step 3 – Transact: Enter any additional details as required by the chosen payment methods. Confirm the deposit. Your account should be credited immediately in most cases. Our Smarkets review recommends using the same payment method for all transactions. By doing so, you will probably avoid additional identity verification. The minimum amount that can be withdrawn varies from 10 to 20 GBP. The processing time is 1 to 2 days for e-wallets, up to 6 business days for credit cards. In the case of bank transfers, this can take up to 10 days. Only in the case of bank transfers does Smarkets charge a fee of 10 GBP, all other options are free of charge. The customer service at Smarkets can be contacted via all regular channels. You can write an e-mail to support@smarkets.com. As a rule, the live-chat is the fastest option and this was truly the case in the course of our Smarkets review. In addition, this is the only option that is really available around the clock. Service at Smarkets is only in English. If you prefer to speak directly with someone, then dial +44 207 617 7413. Please note though that this option is only available from 9 am to midnight. 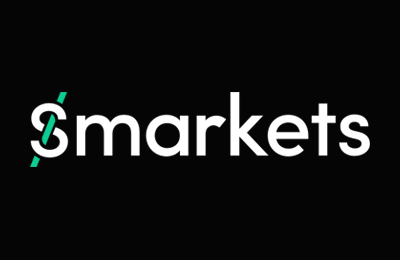 For those of you used to social media, then Smarkets can also help customers on Twitter at @SmarketsTech. Smarkets prides itself on being innovative and it is therefore natural that the betting exchange would participate in social networks such as Facebook and Twitter, as well as Instagram. As far as this Smarkets review could see, the online betting provider uses these channels to supply current information to users, as well as news. In addition, you can also use Twitter to contact the customer support. Reliable or scam: How safe is Smarkets? In the course of our Smarkets review, we could not find any complaints about the betting exchange nor any indications of scams taking place there. The online provider truly complies with all security standards. Smarkets is licensed and regulated by two serious governmental authorities, namely the Malta Gaming Authorities and the UK Gambling Commission. Moreover, Smarkets cooperates with GamCare and has set up different measures to ensure responsible betting. There is a direct link on the provider’s website to contact the non-profit organisation in case of gambling addiction. Punters also have the possibility to limit their gambling activities and set deposit limits. All sensitive data is protected by SSL encryption, preventing access by unauthorised third parties. How can I place a bet at Smarkets? In order to place a (back) bet, just select the odds in the green box. By doing so, you are betting on the outcome. The odds in the box price at that moment will be selected. You can adjust the odds and stake as you wish. Your potential return is calculated before you place the bet. What is the “Trade Out” feature at Smarkets? At Smarkets, “Trade Out” is the same as “Cash Out” at most bookmakers. This allows you to cash out on an exchange bet, pre-match or in-play. Is there a Smarkets App? Yes, there is. There are actually two ways of placing bets via smartphone. One is the mobile website. The other is the mobile app which is compatible with Android and iOS devices. You can simply sign into your existing account and manage your bets. Is Smarkets committed to Responsible Gambling? Yes, it is. Only members of the legal gambling age are accepted. In addition, a number of tools are offered to assist anyone developing a gambling addiction or to avoid doing so: Self-assessment tests, deposit limits, taking a break from betting, self-exclusion, etc. What is the “Active Bets” section? The “Active Bets” is a section dedicated to all of your active and recent bets. With it, you can check the status of your bets and you can even filter the bets. The section displays the bet, stake, odds, etc. This section is located on the right hand side of the website.